Takechi Hanpeita, a samurai of Tosa domain who campaigned for the expulsion of foreigners, unwittingly travels 150 years in time from the last days of the Tokugawa shogunate to present day Japan. 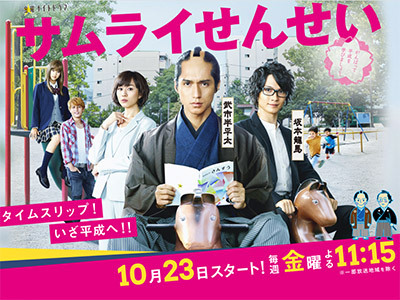 Becoming a teacher at a private school run by Saeki Makoto in a village in the remote countryside through an unexpected turn of events, he solves all kinds of problems with methods unique to a samurai. Hanpeita is reunited with his good friend Sakamoto Ryoma, who quickly adjusted to modern times after travelling in time to the present slightly before him, and lives in Tokyo as a journalist called Narasaki. I don't know why this is classified as a comedy, it does have its funny parts, but for the most part this drama takes itself pretty seriously. 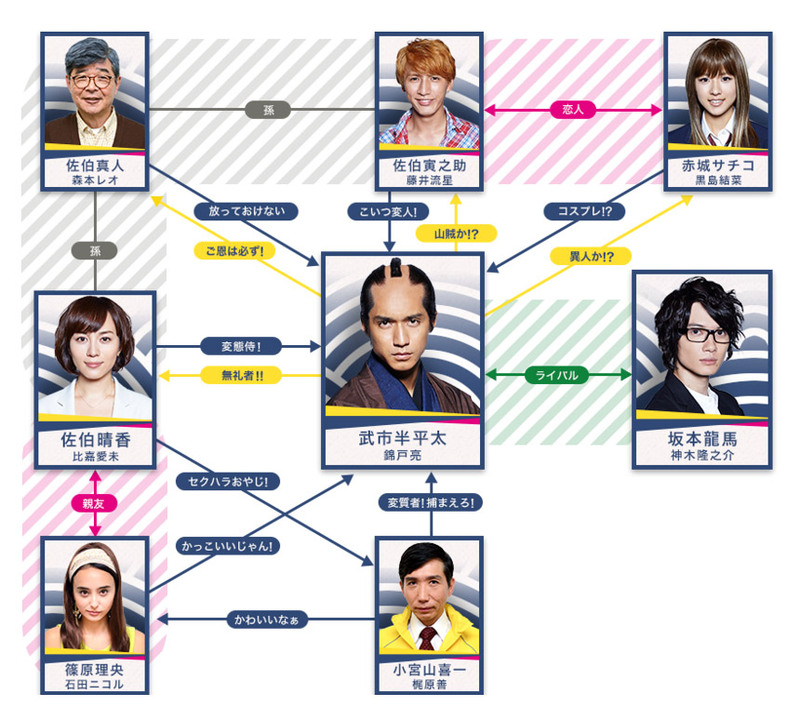 Which is probably why, even though I'm not a big fan of Nishikido, I liked it more than I thought I would. What is this about? I watched two episodes and I didn't like it at all. It is like a joke. The appropriate word would be "weird". Super funny but touching at times!